Here are a few more letters from builders I received late in the newsletter renewal process. The Q1 design has been intriguing to me since I taxied one a few years ago. So I bought #091 which was built by George Sweeny of Culver City, CA in 1980. Contrary to common sense, I drove it 2654 miles back to Atlanta. 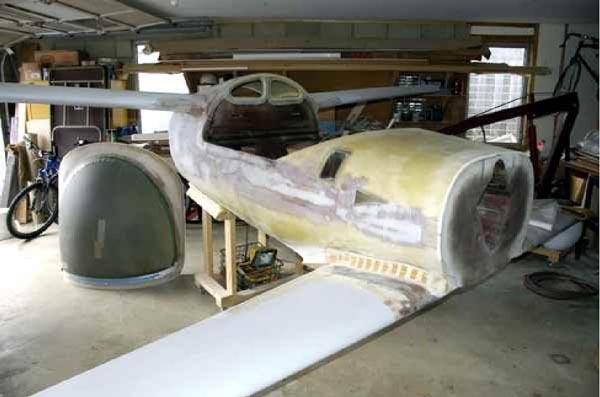 It needs a thorough restoration but came with two engines; an Onan and a Rotax 503. Empty weight was 291 lbs with an Onan. I have no history of it beyond that. 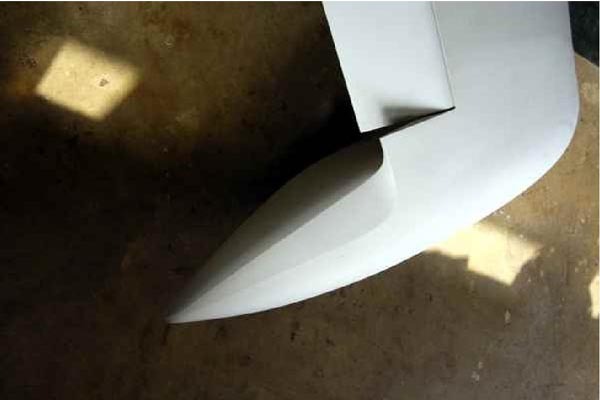 I wanted a bare bones, but airworthy airframe and hopefully that's what I got. 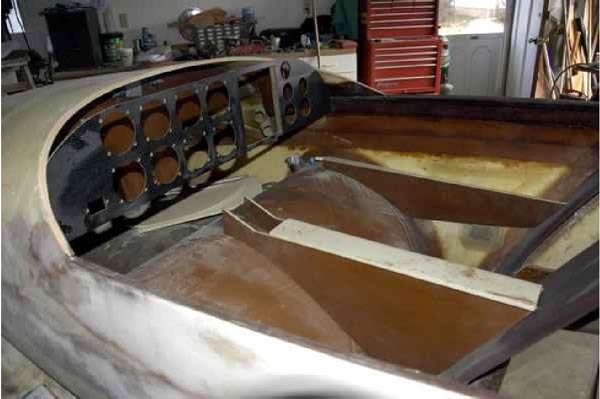 It needs a lot of work as there is some exposed foam in some areas and a large square hole cut out of the bottom of the fuel tank. I need another year to finish my Waiex and then it will get my full attention. I'll fill you in as it happens. I fly a Challenger 604 and Lear 35 for a living. I have built and still fly a Kolb Firestar. Then I heard from a new member, Richard Labarre who sent this email. My interest in flying started when I got back from Iraq in 2005. I went back to my civilian job and decided I need to learn to fly. I've always wanted to, but never had the money. I saved a lot while I was in Iraq. 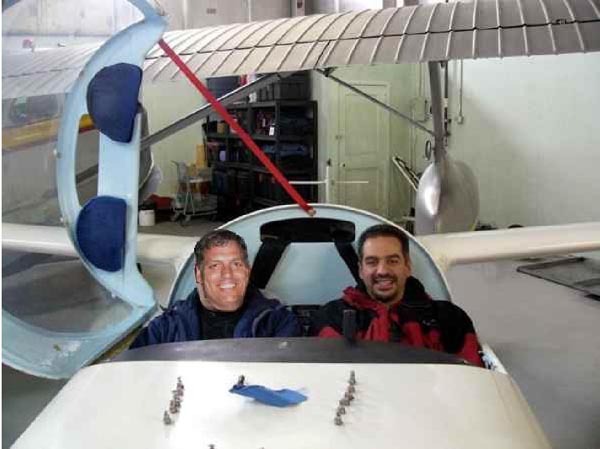 I started my flight training in May of 2005. It was then that I started looking at buying an airplane. 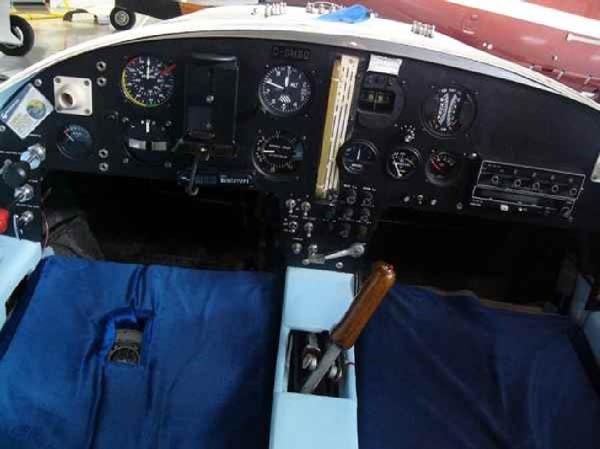 I looked at cheap Cessna 150/152's. Then I saw the Dragonfly and Quickies in September 2005. 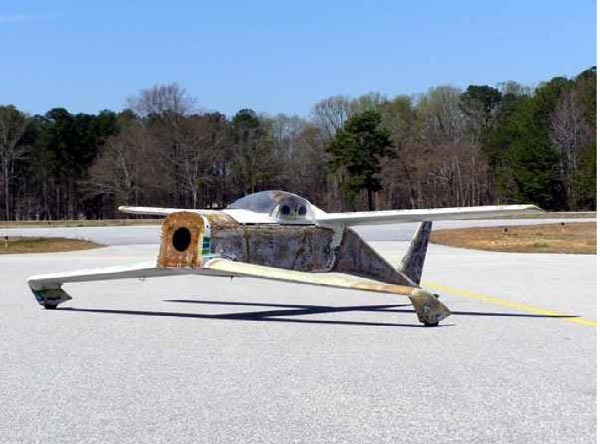 They really sparked my interest in experimental aircraft. At the same time, I was still looking at Cessna 140's. Almost bought a few. I started my tail wheel training in January 2006.
earned my pilots license. I even flew my 1946 Cessna 140 back to Vermont. After this I started looking again at Quickies. I went as far as Oregon to look at one, but did not buy it. However, I did find one in Pennsylvania and ended up buying this one. It was delivered in August 2007 and I have been rebuilding it since. The next letter makes me realize that, for some, the building process can be what satisfies the soul. I can't believe that another year has past. 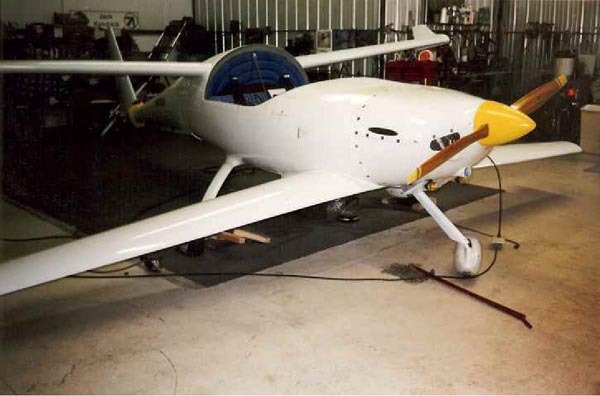 Enclosed is a picture of my plane that is about ready for taxi tests. I have run the engine for a few hours and it runs beautifully. 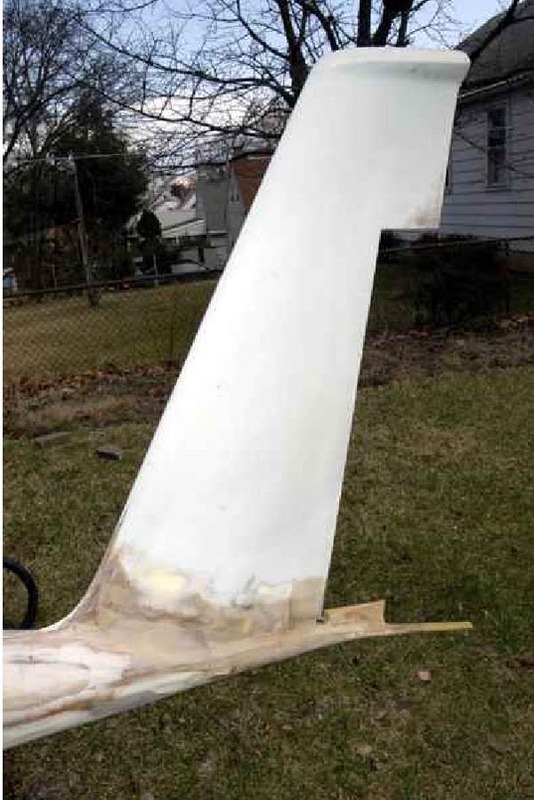 Due to the loss of my medical, I will have to put the plane up for sale. I am 88 years old this June and can't do all the things I used to do. Please put a For Sale ad in the newsletter for me. I have put 5000 enjoyable hours into building my plane. Thank you, all the old editors, and the contributors for the hints and ideas I have used over the years from Q-Talk. I have looked forward to every issue. Gordon is asking $12,000 or best offer for his Revmaster powered Tri-Q. His phone number is: 630-545-2107. Hi Doug! 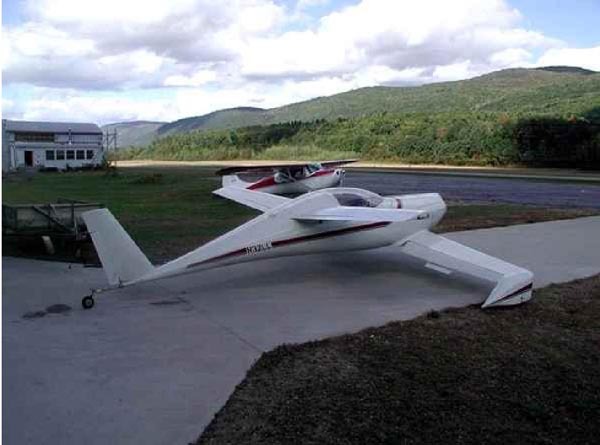 I had been a wannabe since I first laid eyes on the Q planes in my younger years, but you know how it goes... money, family, life .... 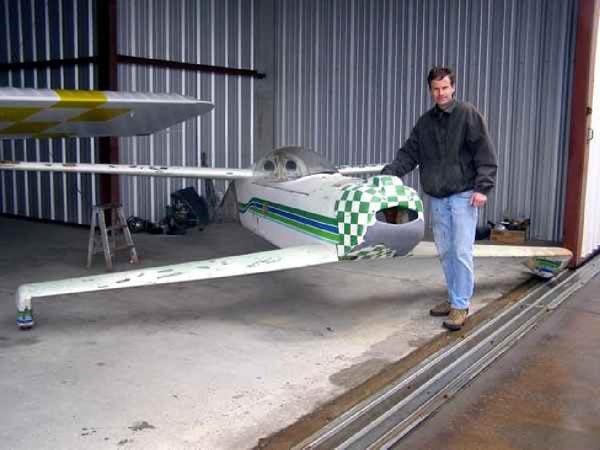 I started by building a Mini-max (ultra-light in Canada) and sold it to buy a Midget Mustang aircraft and have owned that project for 5 years now. 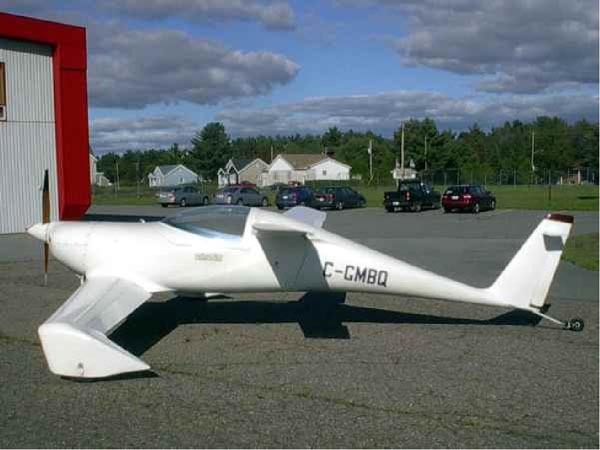 Then I went looking for a two seater and came across David Cyr (builder of the aircraft) who was looking to sell. Unless something comes out of the inspection, she'll be mine. It has about 120+ hours on it and was finished in 1998. There is a Revmaster up front. One of the reasons I bought it was because David is one of those obsessive compulsive types and I know what kind of work he put into it; something like 5000 hours! I am planning on adding lights (tubing for wires already in), modifying the panel, and maybe a new paint job. 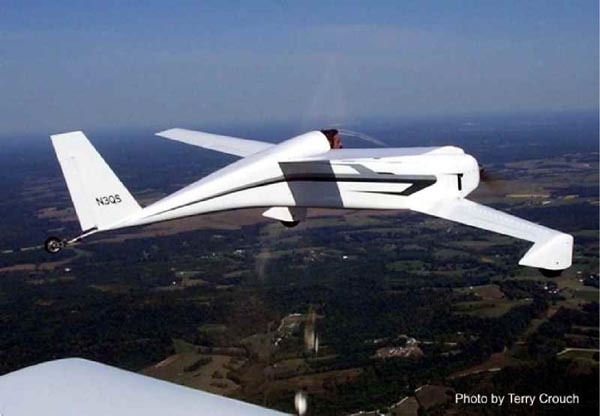 My goal to eventually fly her to Oshkosh and one of the Tandem Wing fly-ins! I went up in another fellow's Q-2 (jabiru engine) today and DANG I love the Q!!!!! I have included a few photos. One of the them is of me (pilots seat) and a friend trying out the fit last November in our winter coats (we each weigh 185 lbs and the fit was good). You can order a printed copy of Q-talk #128 by using the Q-talk Back Issue Order Page.